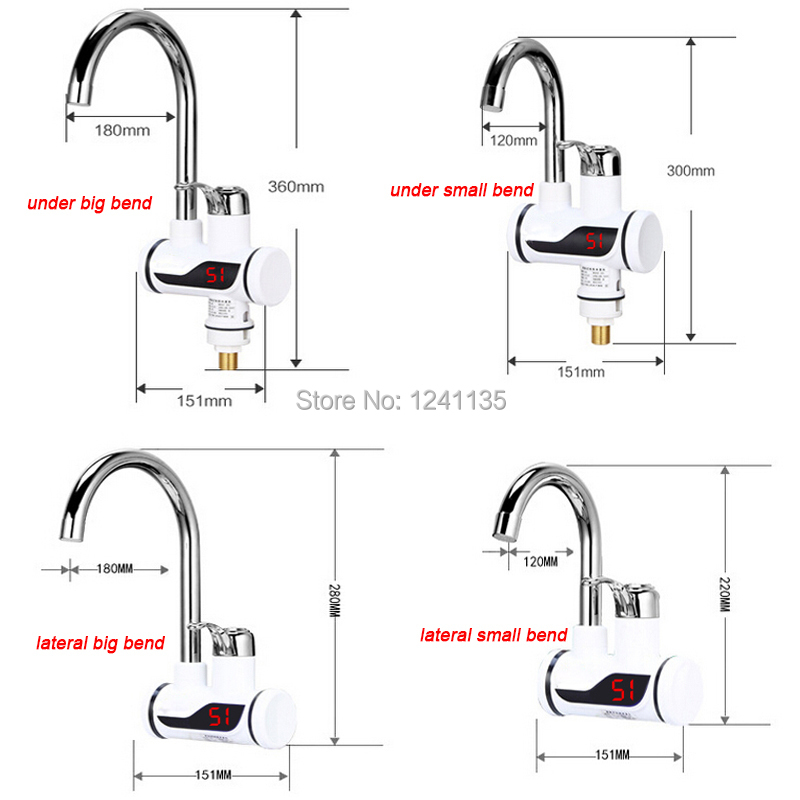 Temperature Display Instant Hot Water Tap Tankless Electric Faucet Kitchen Instant Hot Faucet Water Heater Water Heating – Forsale! This instant electric water tap has EU plug and English manual. Hello, there are five styles (under big bend,under small bend, lateral big bend, lateral small bend, blue lights big bend) in our store, please choose the right one you need when you are shopping, thank you! 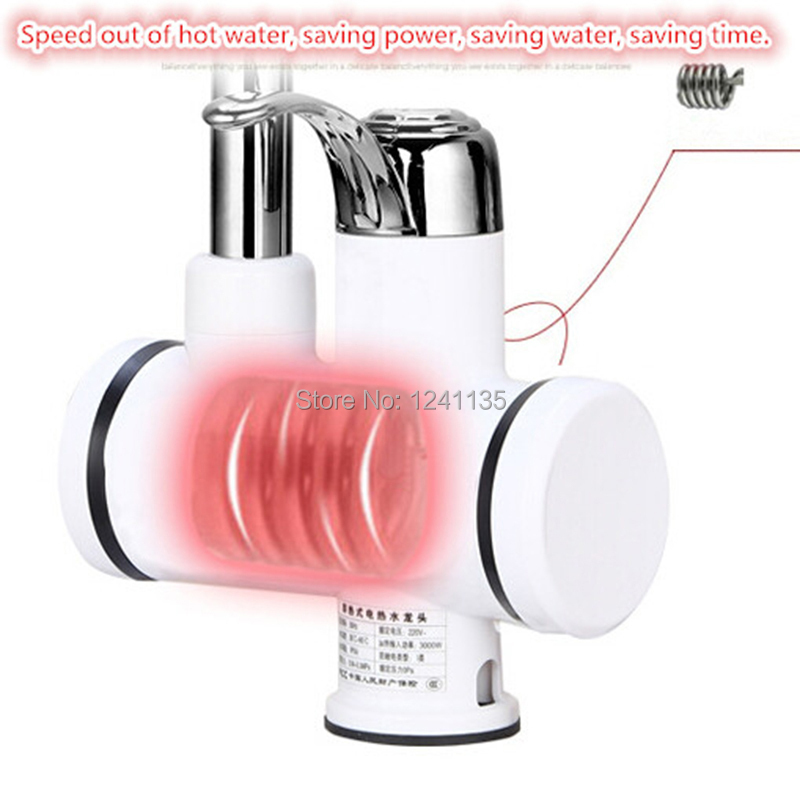 When the fast heat province, perfect design and good taste, exquisite and durable 304 stainless steel elbow, 1/2” standard interface design, the heating temperature display lights, water isolation systems, multi-angle rotation, flexible, Diamond Taocifaxin. 1 5 seconds heating speed, which means that the heat. No need to wait, easy to use. 2 real water isolation system protection features built-in high sensitivity leakage protection, anti-dry design to ensure that there is water power, ultra-high pressure waterproof design, safe care. 3 it is suitable for domestic water, wash, washing dishes, vegetables and other uses. 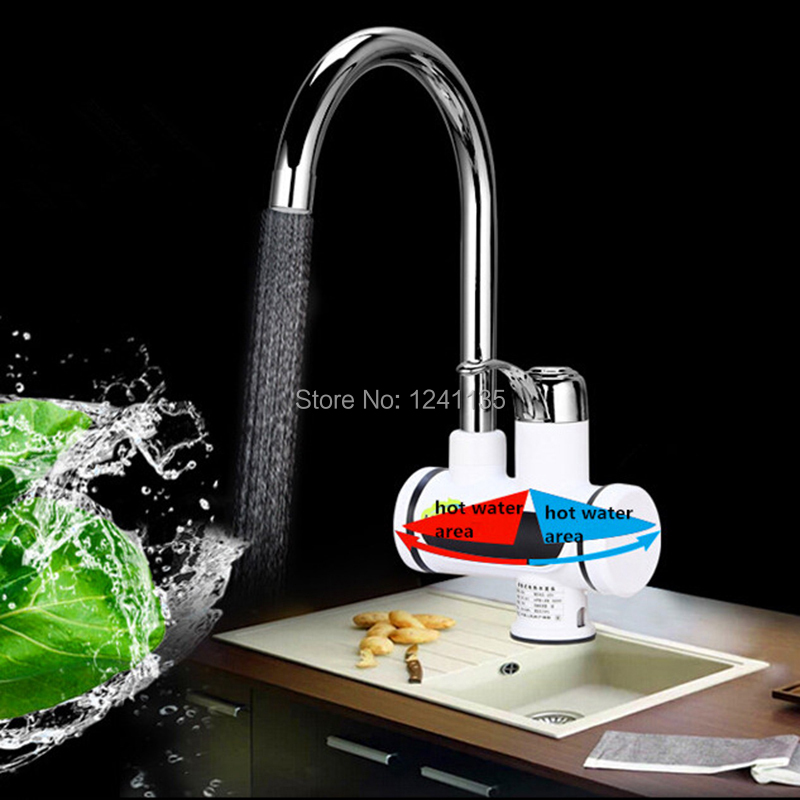 4 electric faucet support and well-being of dual-use, while heating, water, the lower the temperature, whereas the smaller flow, the higher the temperature. * We usually declare your goods low on the commercial invoice or customs declaration, and we are trying to help you minimize any GST or V.A.T or other import taxes ,but we cannot guarantee no tax charges which depends on your country’s policy.